The Lion City is a vibrant metropolis which attracts high net individuals from all over the world, with it being the setting for Kevin Kwan’s award-winning novel Crazy Rich Asians — and rightfully so. Singapore is synonymous with luxury living after all, being home to some of the world’s most prestigious restaurants, hotels and bars. So it comes as no surprise that posh residences are sprouting up in some of Singapore’s most luxurious enclaves. One of the most exciting projects is Victoria Park Villas, an exclusive and upscale landed development located on a sprawling 403,000-square-feet space in the prime District 10 area. 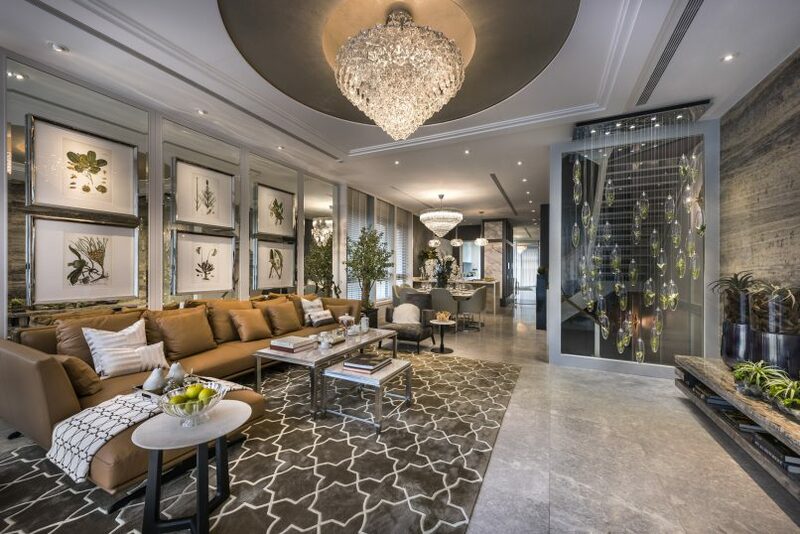 Victoria Park Villas offers luxury living in the heart of Singapore. 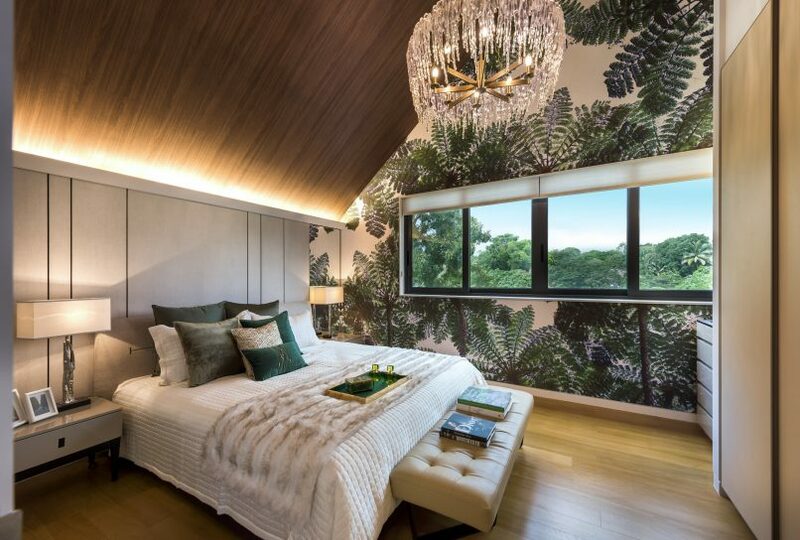 Developed by CapitaLand, Victoria Park Villas boasts 106 semi-detached houses and three distinctive bungalows in one of the most sought-after addresses in Singapore. The project sees award-winning names such as W Architects, AR43, HYLA and Studio Wils+Architects onboard, perfect for the discerning home buyer. Sitting on the junction of Coronation Road and Victoria Park Road, the collection of landed houses is perched on elevated land within the prestigious District 10. The prime location of Victoria Park Villas is truly unbeatable, with everything you could possibly need right at your doorstep. 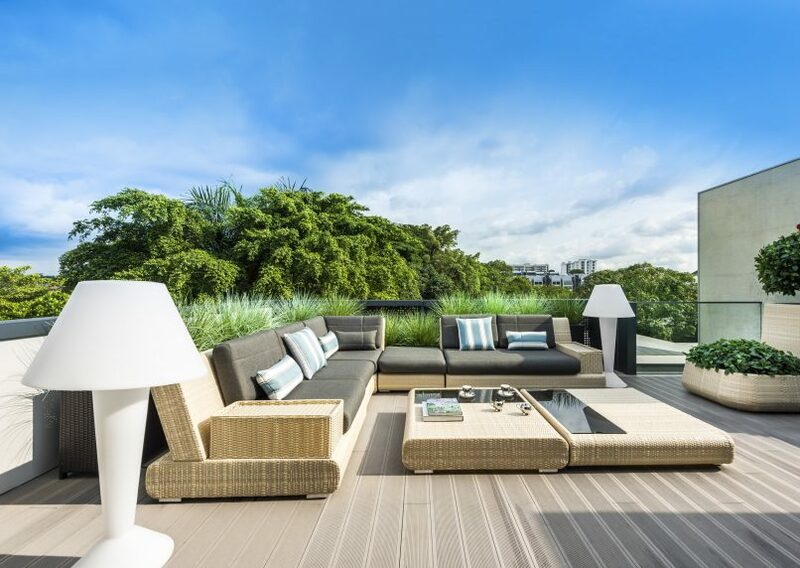 Victoria Park Villas offers the best of both worlds, as the houses are located close to the central part of Singapore while being nestled in a tranquil neighbourhood filled with greenery. The area boasts diverse dining, recreational and retail options, and places such as Holland Village, Dempsey Hill, ION Orchard and the Singapore Botanic Gardens are just a few kilometres away. The residences are also a 10-minute walk from Farrer Road and Tan Kah Kee MRT stations on the Circle and Downtown lines respectively, which makes getting to the bustling city centre a breeze. Alternatively, you can drive to the Orchard Road shopping belt and the Central Financial District, within just ten minutes. Well-appointed rooms are reminiscent of five-star hotels around the world. Your sanctuary in the heart of the city? One of 106 semi-detached houses or three beautiful bungalows — all with private Schindler home lifts that connect the various floors seamlessly. The former ranges from 4,166 square feet to 6,943 square feet — with a starting price of S$4 million. Six of these stunning houses feature a swimming pool on the ground floor. 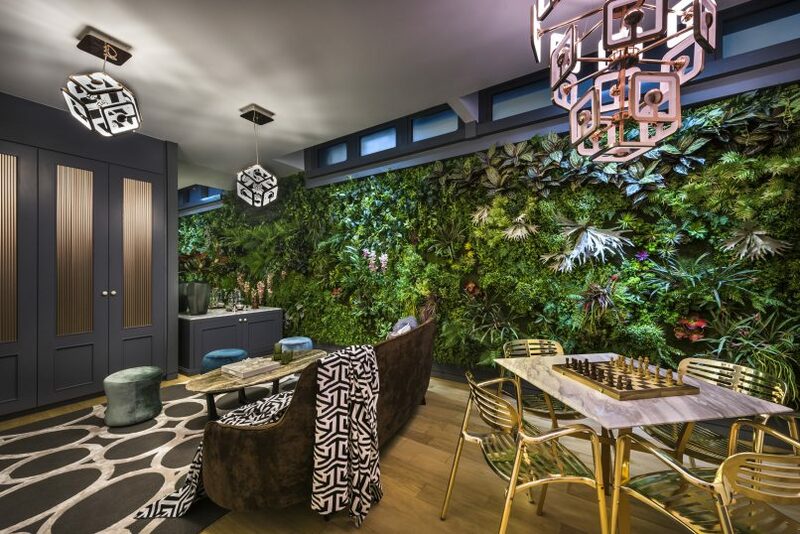 The three coveted bungalows, on the other hand, are priced from S$9 million and range from 10,904 square feet to 11,539 square feet in floor area. The basement of the Garden Villa. 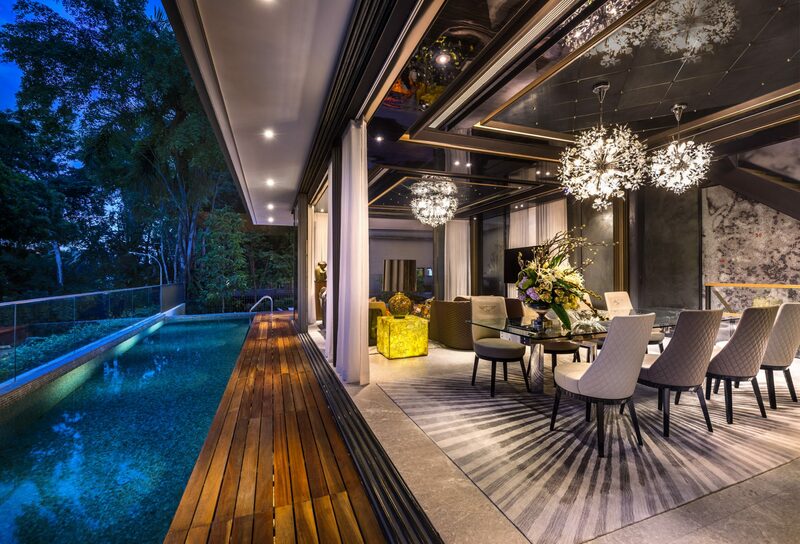 Victoria Park Villas offers well laid-out, generous and flexible spaces. For both home categories, the living room, dining area and bedrooms are located on the first and second floors with an attic on the top floor. Each house boasts an outdoor roof terrace that treats you to views of the lush, verdant surroundings — perfect for intimate gatherings or relaxing Sundays spent lounging under the sun. Additionally, each property features a spacious basement located on the road level. This is directly connected to a covered car porch that can accommodate two cars. The outdoor roof terrace treats you to views of lush, verdant surroundings. With Singapore’s leading architects and designers such as Mok Wei Wei — managing director of W Architects and a past recipient of the prestigious President’s Design Award — working on the project, one can expect tastefully curated interiors that can rival those of the world’s most luxurious hotels. The fully fitted kitchens, for instance, feature premium facilities such as sophisticated Italian-crafted Ernestomeda cabinetry and integrated appliances by German manufacturer Miele. Another highlight of Victoria Park Villas is that it’s also the first landed housing cluster to offer smart home features — so home owners can enjoy the luxury of remotely controlling the lightings, air-conditioners and security systems via mobile apps. With the smart home being the future of houses, this is a particularly interesting aspect. The master bedroom of a Pool Villa features contemporary interiors. The TOP (Temporary Occupation Permit) date for Victoria Park Villas is expected to be in the first half of 2018. 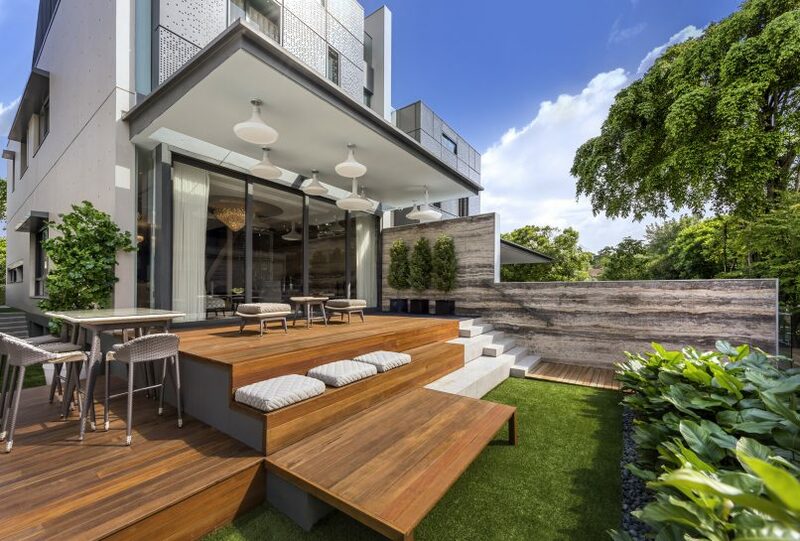 For now, you can make an appointment to view the show houses at Victoria Park Grove by contacting +65 6468 7370.